The death toll of the Israeli war against the Gaza Strip continues to rise today, with Israeli officials promising a protracted offensive and patting themselves on the back for doing so. And while the war started with the assassination of a Hamas military leader, the more recent deaths suggest the strikes are having a big impact on Gaza’s civilian population. Israeli violence has left 24 dead and 200 wounded in Gaza. A total of three Israelis have died from rocket-fire coming out of Gaza. Marwan Abu El Qumsan, a teacher at a UN school, is among the victims, and the UN has had to close its schools because of the growing attacks. Children were also the victims of Israeli attacks, including the 11-month-old son of BBC editor Jihad Misharawi. The exact split between fighters and civilians in the death toll is unclear, but it seems apparent that civilians are dying at a higher rate, and themassive numbers of wounded in attacks on residential areas seem dramatically skewed toward civilian bystanders. Egypt’s prime minister, Hesham Kandil, visited Gaza to see the destruction and draw attention to the suffering on the Palestinian side, which is unfortunately underreported. “No one can remain still and watch this tragedy unfold in this fashion,” Kandil said. “This is impossible. The whole world must intervene, and Israel must abide by the agreements and stop the aggression. Prime Minister Benjamin Netanyahu shrugged off complaints about the civilian toll, insisting there was no “moral symmetry” between Israeli air strikes killing civilians and Gaza rocket attacks doing so. 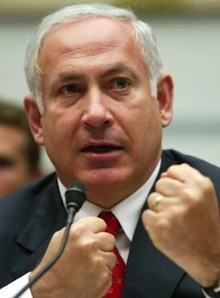 Netanyahu added that he saw a photo of a bleeding Israeli baby and this proved there was no comparison. It was unclear if he saw the pictures of Misharawi’s slain infant son.